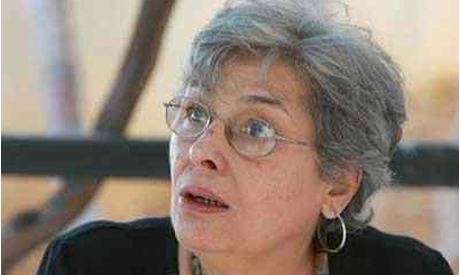 Egyptian writer and academic Radwa Ashour died late on Sunday at the age of 68 after suffering from health troubles over the past few months. Ashour was born on 26 May 1946 in Cairo. She studied English literature at Cairo University and earned her MA in comparative literature in 1972. Best known for her Granada Trilogy, her career was marked by struggles against government interference in university affairs; she was also one of the founders of 9 March Movement for the Independence of Universities. Ashour was married to the renowned Palestinian poet, Mourid El-Barghouti, and is the mother of the poet, Tamim El-Barghouti. In 1977, El-Barghouti was deported from Egypt; she and her son spent a great deal of their lives visiting him in Hungary. The late writer published literary, theoretical and critical works and supervised the translation of the Cambridge History of Literary Criticism, which came out in several volumes. Ashour also authored, The Woman from Tantoura, which was recently released by the AUC press. In her autobiography, Atqal Min Radwa (Heavier than Radwa), she recounted her fight with cancer, weaving in the Egyptian revolution's setbacks and victories. Writer and journalist Mona Anis was the first to announce her death via her Facebook account, stating that Ashour was in the hands of God. Novelist, Ahdaf Soueif mourned her on Twitter, saying, "Peace my beloved friend. Radwa Ashour. Silence now." Ashour’s books include Hagar Dafi' (A Warm Stone, 1985), Khadija and Sawsan (1989), Qit'a Min Orouba (A Piece from Europe, 2003) and the Granada Trilogy, which included Granada (1994), Mariam (1995) and Al-Raheel (The Departure, 1995). The trilogy was translated into English by William Granara, a professor of Arabic literature at Harvard University, and published by Syracuse University Press in 2003. The trilogy’s first iteration won the Cairo International Book Fair's Book of the Year Award in 1994, while the trilogy as a whole won first prize at the first Arab Women's Book Fair in 1995. The Granada Trilogy was also translated into Spanish (Editiones del Oriente y del Mediterraneo). The trilogy deals with events following the capitulation of the last Muslim ruler of Spain, Abu Abdullah Mohammed in 1491, the year Granada fell; it was voted as one of the top 100 literary works by the Arab Writer’s Union. The funeral will be held Monday afternoon at Salah El-Din Mosque in Manial.